It is with much humility that we approach the book of Revelation. There are a multitude of reasons not to take many dogmatic positions here, not the least of which is that I want to reserve the right to modify or change my conclusions later on! And of course, Acts 17:11 always applies, so do your own research, too! With that being said, I do believe that there is an erroneous teaching concerning the implications of Revelation 1:1 and the word “shortly” as it regards the timeframe for the events to follow in the next 22 chapters. What is being asserted is that, since it deals with things that must “shortly take place” then everything in that follows, with the possible exception of chapters 21 & 22 where it describes the church’s final state in Heaven, was to happen in the lifetime of the original recipients. This would, according to such expositors, mean that everything has already taken place. I have some problems with that. First problem: the Greek word for shortly is “ἐν τάχει” which also can mean quickly. That would imply that when the things in this book start to happen, they will happen swiftly. That is the direction I lean because Jesus, the author of the book, neatly uses this same word in chapter 22, where in context everything is wrapped up and we are in the eternal state. While many of the events of the first three chapters certainly did happen in the first or early second centuries, the fact that John is given this same word to use when describing a state which is still in the future for the saved means we can’t use verse 1:1 to categorically say that everything in the book was fulfilled in that time period. It just means that events will transpire rapidly when they finally do happen. What is implied for us is that when these events happen, it will be too late to get ready for them. So no matter what your view of End Times prophecy, one question needs to be answered NOW — are you ready? Is your soul prepared for the return of the Lord? Or have you put it off and are walking dangerously unprepared to meet your God? Now is the time to prepare for eternity, for you know not when you shall enter it. Do not delay! 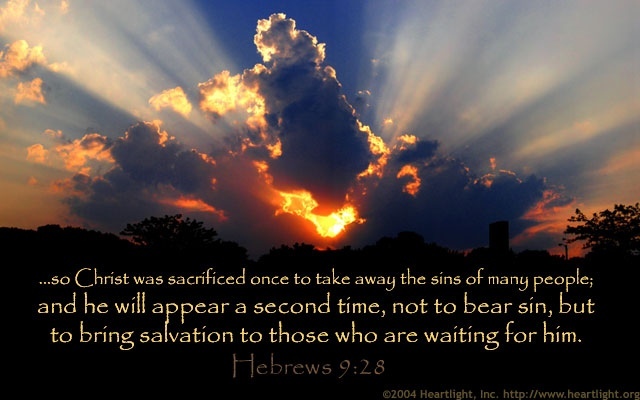 Now is the day of salvation! Listen to the Gospel message, believe it, repent of your sins, confess that Jesus is the Son of God who died for you and was resurrected, and appropriate that saving work in the waters of baptism. Behold, do it quickly!